Due to the high concentrations of active ingredients LIQ Serum CC reduces the ageing of the skin and protects against harmful environmental factors. 15% Vitamin C content ensures a rapid stimulation of collagen synthesis, effectively neutralizes the effect of free radicals and evens out the skin tone. The strong effects of pure form of vitamin C are enhanced by the appropriately chosen magnesium and tocopherol concentrations, which also have a protective, regenerative and nourishing effects. Day after day, the skin regains its lost comfort, radiance and vitality. LIQ CC Serum Rich is indicated for dry skin. Day and night care for both mature and young skin. By using the non-ionized, active form of L-ascorbic acid, LIQ CC Serum Light can be used 365 days a year. Low pH ensures the penetration of vitamin C into the deep layers of the skin. Serum indicated both before and after exposure to sunlight. Vitamin C (15% - 4800 mg) - active L-ascorbic acid in non-ionic formula facilitates easy penetration into all layers of the skin, stimulating collagen synthesis, leveling up the color and brightening. It reduces the harmful effects of UV radiation, helping to protect the DNA of skin cells. One pipette per application (face, neck and cleavage). Shake before use. Apply morning and/or evening on cleansed face and neck. Apply under your normal moisturiser all year round or as a 28-day treatment. Because of the low pH (<3.2) of the LIQC Dermocosmetics, keep your attention when applying in the area around eyes. Getting serum into the conjunctiva of the eye can cause a temporary burning sensation. Maintaining a distance of more than 0.5 cm from the conjunctiva is sufficient to achieve the anti-aging effect of serum LIQ CC. Fragrance free. Colourant free. For adults only. Keep out of the reach of children. For external use only. Use within 3 months of opening. Store below 25° C - store it in a refrigerator for increased durability. 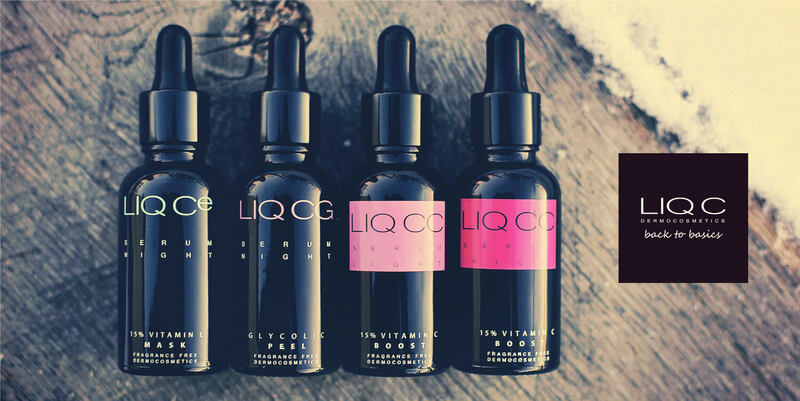 LIQ CC Serum Light, due to the content of L-ascorbic acid, has a clear-thawed color (from 0 to 4 months from date of production) to light straw (from about 5 to 12 months from the date of production). The properties of active vitamin C persist throughout the life of the cosmetic (shortened to 12 months). Products do not have artificial masking dyes in their composition and may therefore exhibit subtle color changes.